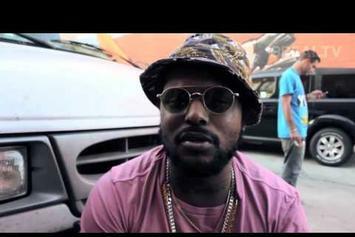 Watch Schoolboy Q "Talks OG, Wax & Being The Biggest Smoker" Video, the latest video from ScHoolboy Q, which dropped on Monday, July 22nd, 2013. ScHoolboy Q's horizons are broadening with each new release, and Schoolboy Q "Talks OG, Wax & Being The Biggest Smoker" Video is no exception. It's a worthy addition to a catalogue that has seen much growth since ScHoolboy Q stepped foot in the rap game. We're looking forward to hearing more.